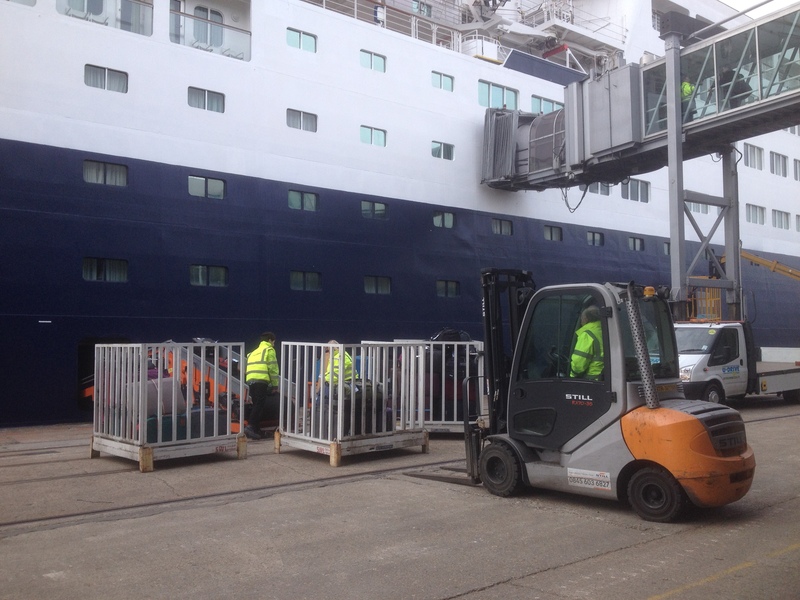 Port terminal operators Southampton Cargo Handling (SCH) have expanded their portfolio of cruise passenger work after being appointed by Saga Cruises to handle all their ships calling in the Port of Southampton. SCH, already a key player in helping to maintain Southampton’s position as Europe’s leading port for cruise ship turnaround operations, will provide Saga ships with all baggage, porterage and stores services. The two-year agreement will start immediately and, during the 2015 season, will see SCH service some 30 calls by Saga’s ships Saga Pearl II and Saga Sapphire. Destinations will include the Mediterranean, Norwegian fjords, the Baltic, the Canaries, Canada and the Caribbean. SCH will handle turnaround calls for the Saga Pearl II, which accommodates some 450 passengers, and the bigger Saga Sapphire, which carries some 720 passengers. The latest success in expanding its cruise ship work builds upon SCH’s current activity in the sector, which also includes operations in Portsmouth, Liverpool and Leith through its sister companies Cruise and Passenger Services and Southern Maritime Services. SCH Operations Director Kevin Hulme commented: “Our knowledge and expertise in cruise ship operations will help to ensure that Saga passengers enjoy an efficient and seamless service when they board or disembark their ships in Southampton. We look forward to playing our part in maintaining Saga’s established reputation for providing a high quality cruise experience.